Are these the world’s worst inventions? attached itself to a wand that added up to 18 inches of reach, and a release button took care of the rest. Trials brought no flush of success and the idea went down the pan. The Marigolds of the SMS texting world … or prophylactics for digits? Despite coming in pink or black … in small, medium or large … Lex’s latex Phone Fingers for people who are picky about fingerprint smears on their phones never really took off. a low profile saw him clipped from later versions. New York City was over the moon with the unveiling of its first automatic pay toilet in 2008. Patrons paid 25 cents for 15 minutes of privacy in the pre-programmed privy but when time was up, the doors slid open regardless, revealing any number of full moons in broad daylight and catching half of NYC with its pants down. It’s not rocket science to guess where this is going … Designed in 1912 by Franz Reichelt, the wearable safety garment received a high-profile unveiling by its German inventor who jumped off the Eiffel Tower in one. It didn’t deploy. Reichelt died. 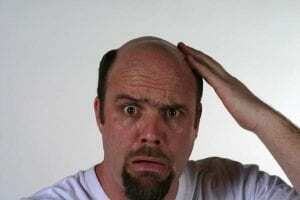 HAIR IN A CAN: Cure for baldness? water after the almost pan-European public smoking ban. Mike Todd Jr. (son of the famous producer) funded the ill-fated Smell-o-Vision which piped scent into cinemas at pivotal moments in the movie. It was used only once, in the 1960 film Scent of Mystery, produced by none other than Mike Todd Jr. Both the idea and the film stunk. The vehicle of choice for lazy tourists and security guards was hyped by its inventor, Dean Kamen, as ‘a personal transportation revolution’. But many countries and US states banned it from pavements and, despite expensive gyroscopes to prevent it from tipping over, George W. Bush found a way! 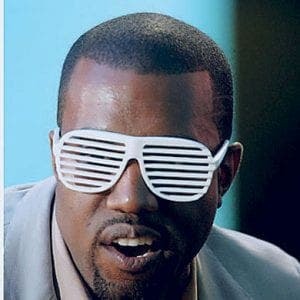 Trendy in the Eighties, slatted sunglasses enjoyed a brief revival when Kanye West sported them in his 2007 music video, Stronger, introducing a new generation of wannabes to a completely pointless accessory.